The Special Supplemental Nutrition Program for Women, Infants, and Children (WIC) is a short-term intervention program designed to influence lifetime nutrition and health behaviors in a targeted, high-risk population. Vanderbilt University was working with the State of Tennessee to design and develop an app to support the WIC program. They came to Healthmade Design looking fo assistance with improving the usability of the app that they had built as a first draft. Use visuals and plain language for best possible literacy and usability by ESL users. Use the core functionality around shopping and checking out to support planning and learning. In order to understand the priority and importance of various features, one of the activities we did with remote video interviewees was a card sort and organize. The outcomes were clear about which features were critical and which were additive. Groups that users made with feature cards. 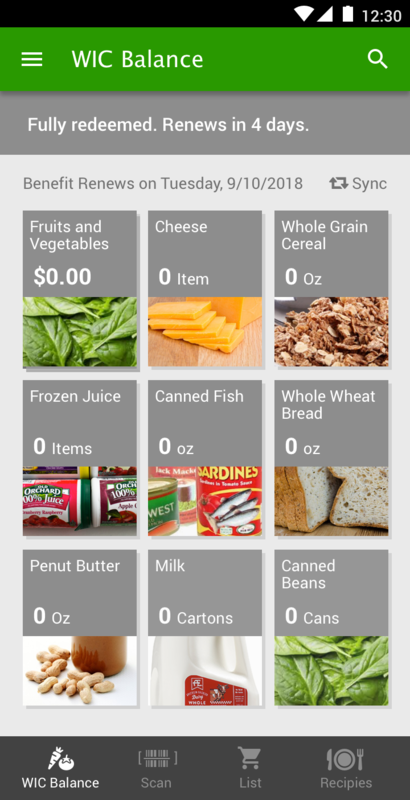 A core benefit of having WIC available digitally is having an up to date record of available benefits, reminders of when they expire and when they will renew. The balance screen shows various states of the benefits. Above from left to right shows different states of benefits - to be used, used and about to expire. 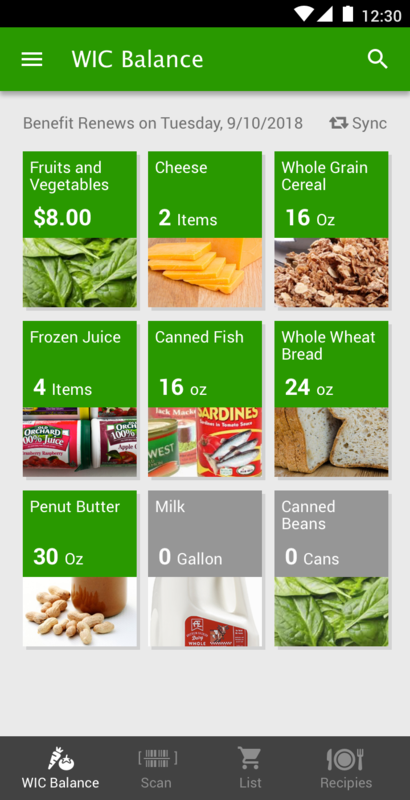 There are many different apps that you can use WIC with. Despite WIC being a federal food assistance program it is managed by the state. Some states have partnered together and work with one app, other states have their own WIC app. We reviewed the top apps for common UX patterns and to understand the primary features.